Everyone is buzzing about bees! Urban beekeeping is on the rise as swarms of people do their part to help nurture local food systems, make gardens more productive, connect with nature, and rescue honey bee populations from colony collapse disorder. Honey bee hives now grace the White House Lawn, the roof of Chicago City Hall, the National Arboretum, and the top of the Fairmont Hotel. Even Hagen-Daazs has gotten into the act with its well-funded campaign, Help the Honey Bees. "Storey's Guide to Keeping Honey Bees", the newest addition to the best-selling series, will be the single resource sought by beekeepers in all settings. Malcolm T. Sanford presents a thorough overview of these industrious and critically important insects. 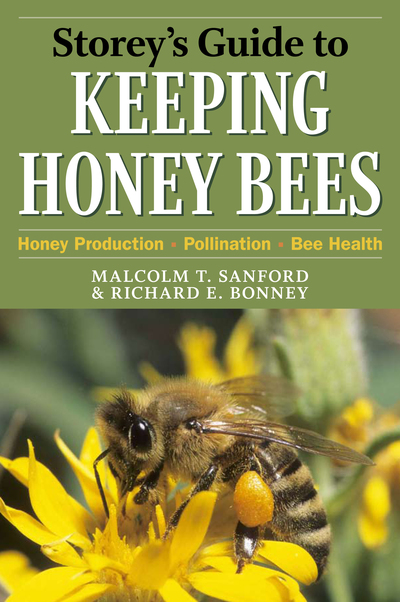 With this book as their guide, beekeepers will understand how to plan a hive, acquire bees, install a colony, keep bees healthy, maintain a healthy hive, understand and prevent new diseases, and harvest honey crops. The book also provides an overview of the honey bee nest and colony life, insights into honey bee anatomy and behavior, an exploration of apiary equipment and tools, season-by-season beekeeper responsibilities, instructions for harvesting honey, and detailed, up-to-date information about diseases and other potential risks to bees.